Let’s face it—shorts are a summertime staple, whether you’re braving 100-degree temps or packing for a tropical vacay. 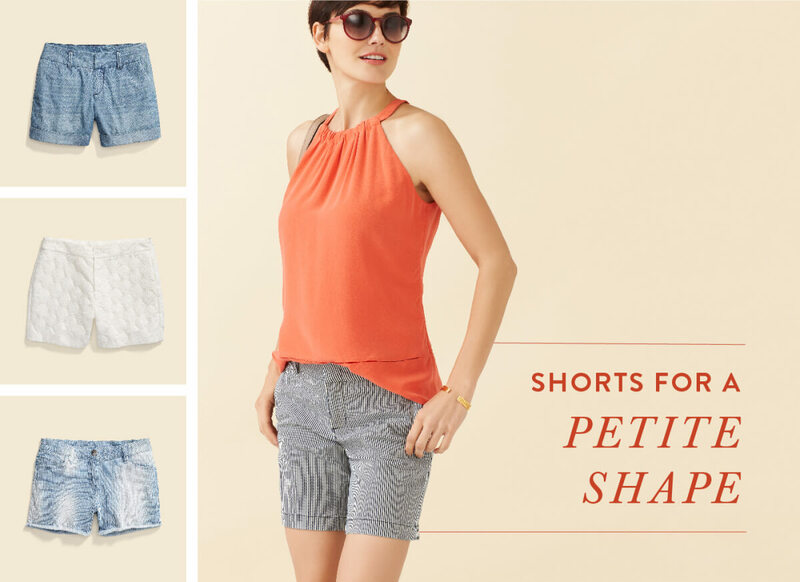 This year, vow to embrace shorts season by finding the perfect style to flatter your figure. 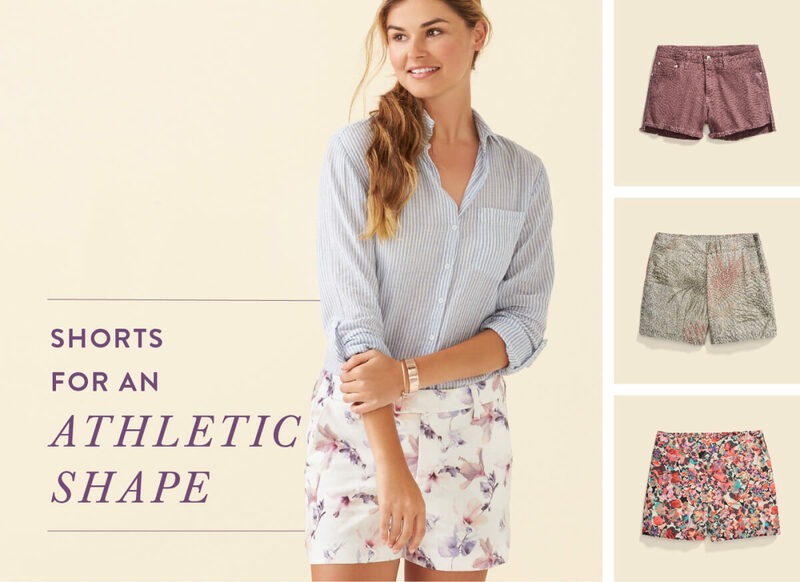 Whether you’re athletic, curvy or petite, here’s the low-down on the hemlines that highlight your best features . Mid-Rise: Keep your look streamlined in a pair of mid-length cargo shorts. 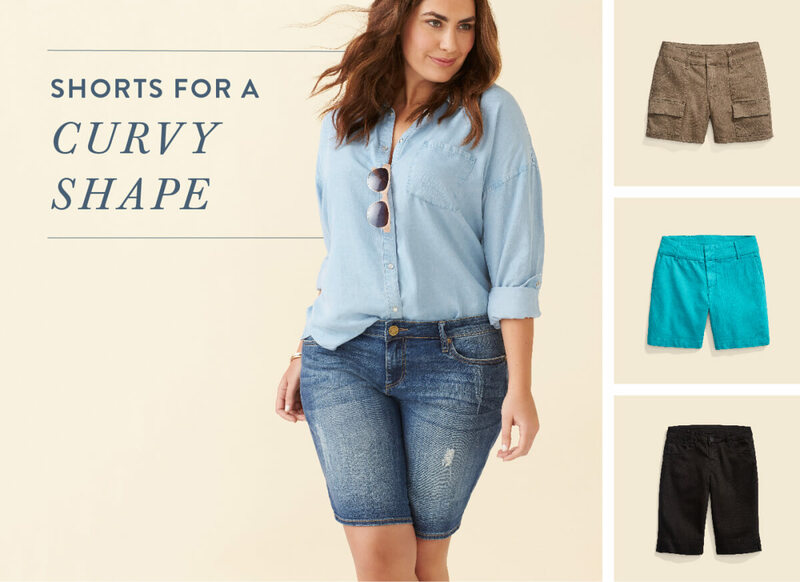 A good rule of thumb if you’re curvy: look for shorts that are mid-rise—they’re universally flattering. Wider Waistband: Tailored chinos with a simple, smooth front & a wider waistband will create a smooth silhouette without added fabric. Plus, the wider waistband emphasizes the smallest part of you & holds you in. Longer Lengths: If you have thicker thighs, consider wearing shorts with minimal details & solid colors in a longer, knee-length cut—like a bermuda! The length will elongate your legs & minimize your thighs. Stylist Tip: Keep your overall look structured. Oversized, baggy blouses & tops will add to your frame. Instead, opt for tailored button-ups or fitted tops that can be easily tucked (or half-tucked) in. Cuffs: A pair of lightweight chambray or denim shorts with a minimal cuff streamline your bottom half. Opt for a pair in a mid-length to avoid the cuff hitting you at the widest part of your leg. Neutrals: Look for a pair of crisp white shorts that hit at mid-thigh or shorter. Then, pair with a contrasting pop color. The bright white will play tricks on your eyes and make your legs appear longer! Short Shorts: Dare to wear short shorts? You can! The more leg you show off, the longer your frame will appear. For comfort & balance, be sure to pick short shorts that are a little looser around the thighs. Stylist Tip: For added height (literally), pop on a pair of wedges or platform sandals that are so en vogue for spring. A platform shoe is a surefire way to make you look taller & leaner. Cut-Offs: Play with the length of your cut-offs—wear them short to show off your thighs or look for a pair in a looser fit that hits above your knee. Chinos: A pair of chinos in a breezier fabric—like cotton or line— give your legs room to move without sacrificing your style. Look for a pair in an A-line silhouette to give you structure & sway. Prints: If your legs are the main attraction, focus on a bright floral print to draw attention to your best feature. Make sure you keep the pattern smaller in scale to avoid overwhelming your lower half. Identify the body shape most similar to yours (it doesn’t have to be exact!). 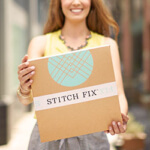 Ask your Stylist for those silhouettes in your Fix Note to get your most figure-flattering shorts ever.